A leaked slide suggests that Samsung has brought up a new locking mechanism for carriers with the Galaxy S7 and Galaxy S7 edge. As of now, many carrier are choosing to sell unlocked Galaxy S6 and S6 edge in order to avoid the hassle of ordering specific carrier-locked batches from Samsung. The new carrier-lock mechanism found in the Galaxy S7 and S6 edge has made it unnecessary for carrier to order specific carrier-locked batches of Samsung Galaxy S7. Instead Samsung will sell the same type of phone/batch to all carriers, and the phone will be locked at the carrier lever. 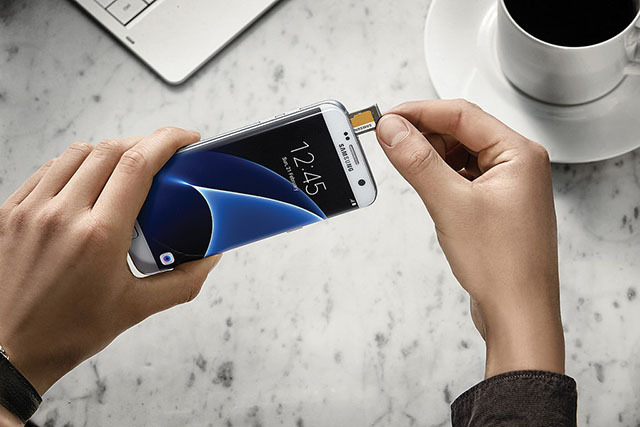 This means that your Galaxy S7 will be locked to the carrier of the first inserted SIM. This procedure, however, will not be applied to SIM-free and carrier unlocked models.